We’ve been gallivanting the last few days, well actually we’ve been home a couple of days but the few days before that we were gallivanting. Blimey we both needed a rest, we haven’t had time together where we have both been not working for ages and the last week I was finding I was trying to do too much at work and hurting myself still and getting very very frustrated. We both needed to stop and get out. So a trip to Sheffield to visit Paul’s mum with a couple extra days either end to do other nice things. 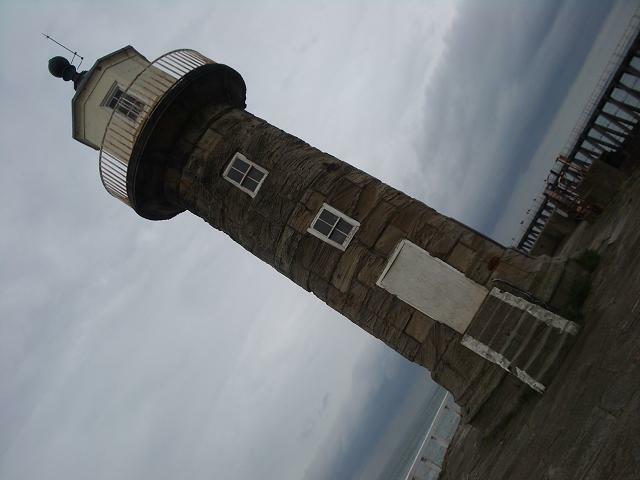 On the way down a stay at Whitby, fish and chips on the beach, lighthouses, seagulls and sunshine and showers. Sunday we went from Sheffield into the Peak District to visit, for the first time together, Paul’s favourite place. 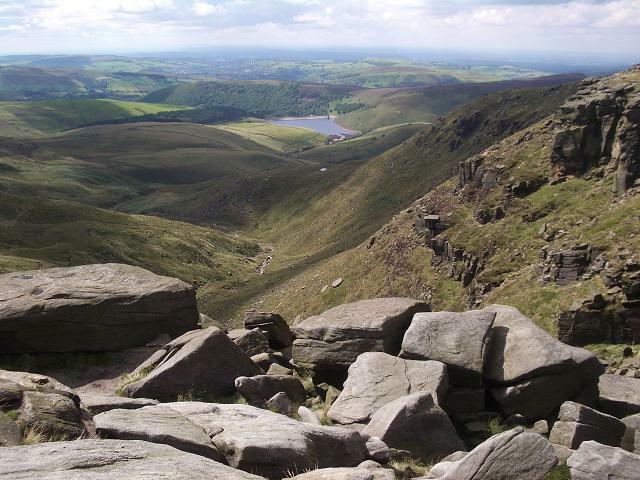 Kinder Scout. It was the site of the mass trespass in 1932 where ramblers aimed to highlight the fact that they were under law denied access to open land and to public footpaths, but the marches eventually led to changes in the law leading to all citizens being allowed access to public footpaths. Kinder sits in between the two industrial cities of Manchester and Sheffield and it a 600 or so meter plateau of gritstone with a layer of peat on the top which just rises straight upwards out of the moor all around, pretty impressive. To walk across the top is pretty challenging and hard work, there are streams and rivers that have cut big trenches through the peat so sometimes you are climbing in and out of gullies that are 12 and 15 foot deep and the peat doesn’t ever dry out so the bottoms of the gullies can be somewhat boggy. Needless to say I did fall in once or twice. It’s the first time in a long long time that I’ve had to walk so closely on a bearing with a compass and map to find the places I wanted to get to. That was on the clearest sunniest brightest day, there are few features once you are on the plateau and especially not when you’re dropping in and out of the dips, imagine what it’s like in the mist and fog. 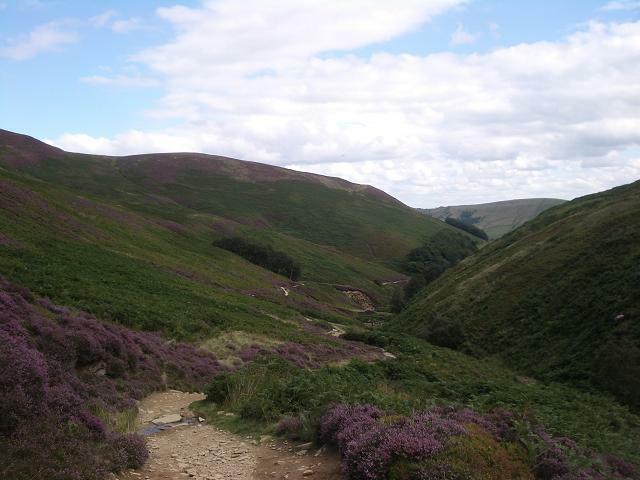 This was the heather laden valley that we descended through, perfect hiding place for another dragon, hmmm, I think Paul may be sick of my dragon tales after this week, maybe I should write them down. 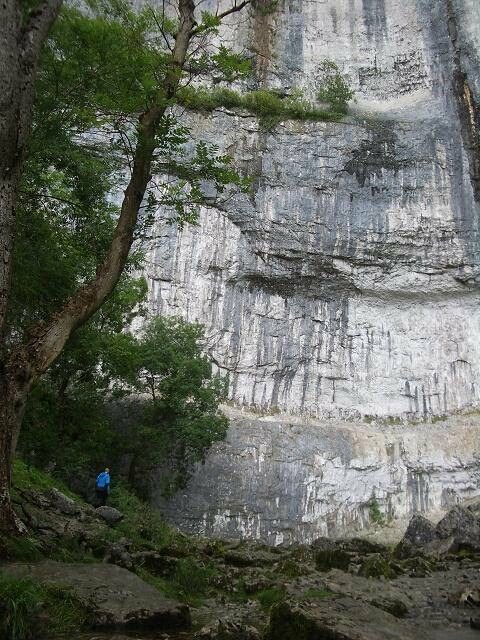 On the way back north a stay in Settle for us and a visit to Malham, this time a limestone part of the country. 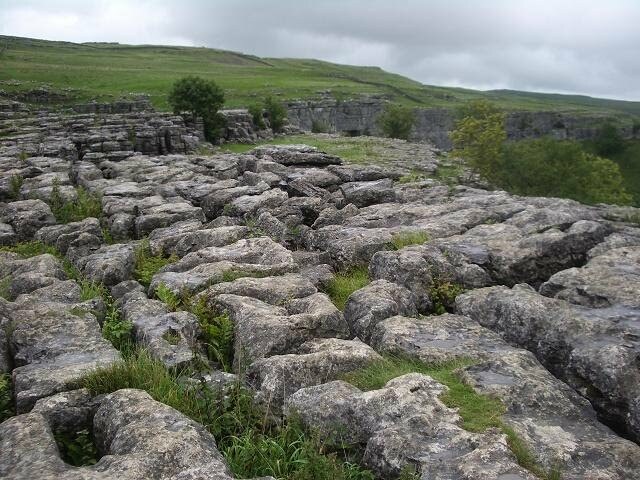 Completely different to the Peaks but equally fabulous, limestone pavement is a pretty splendid geological feature. 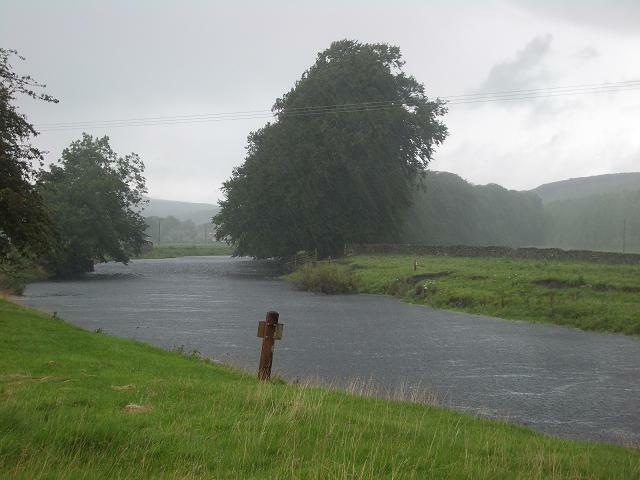 The morning we left Settle it was a little damp but it doesn’t really matter does it, we don’t shrink so we toddled off for a walk along the river before we left. It was a great break, I hadn’t realised just how much I needed that. 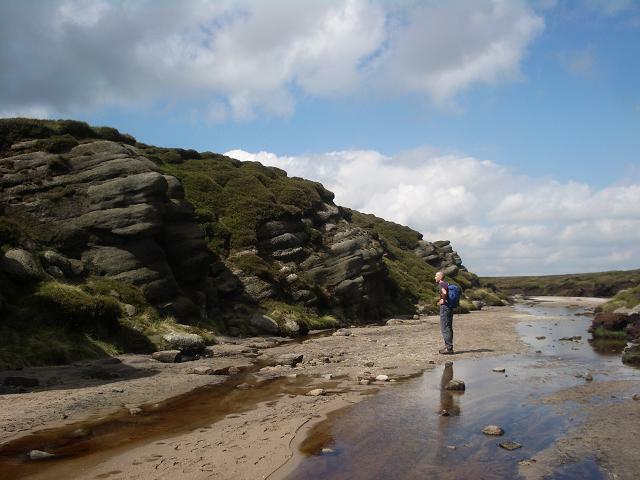 This entry was posted in Kinder Scout, Peak District, Settle, Sheffield. Bookmark the permalink. Lovely images, Hannah. We've got to come visit some time. Wow Hannah that's all just beautiful. Hi to Paul. Hannah, you walked in your Grandad Johns footsteps, he took part in the mass trespass.He would have been proud to know his efforts were not in vain! WoW. what a great place or places.